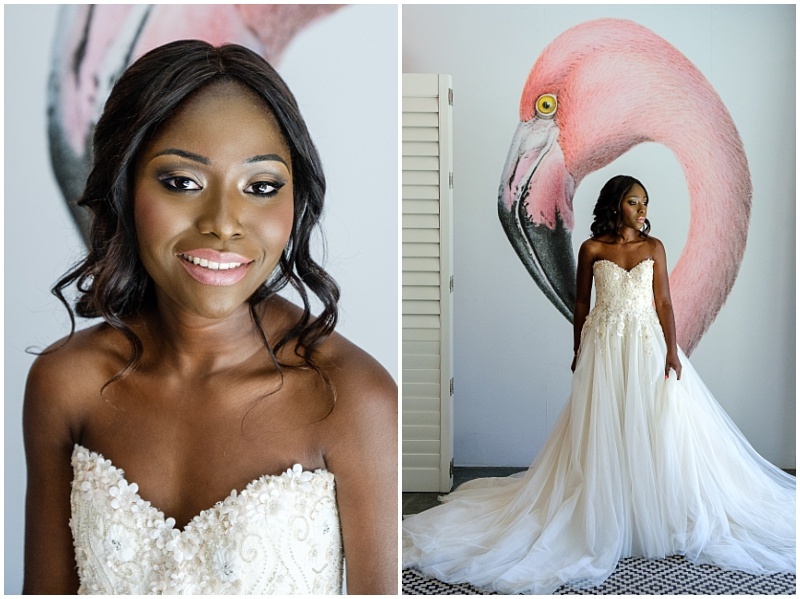 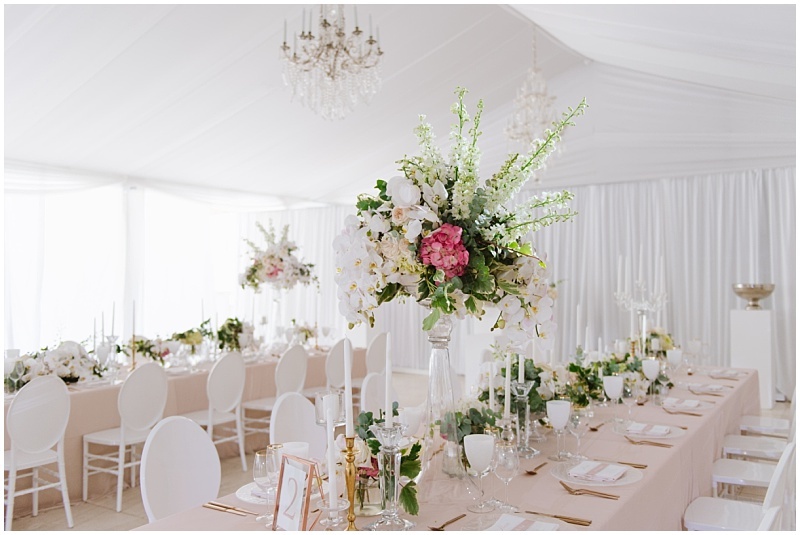 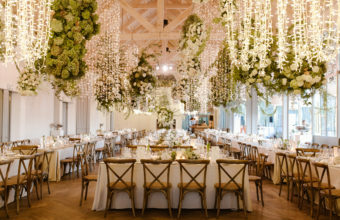 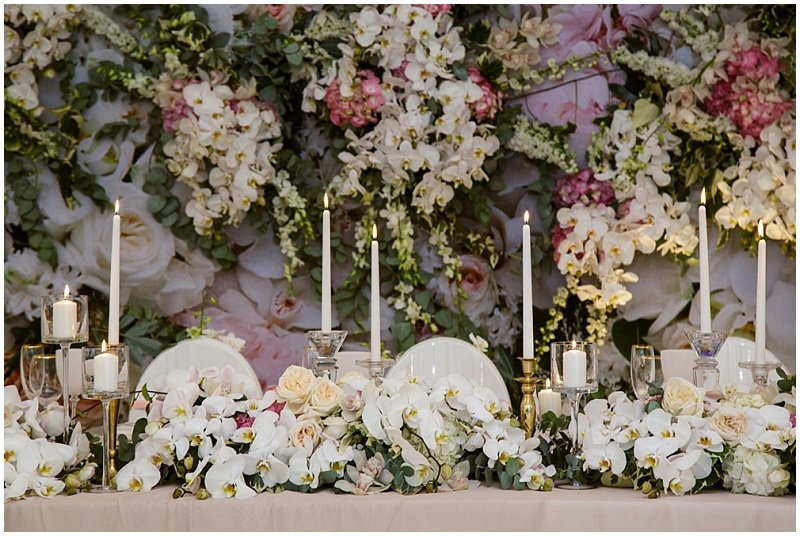 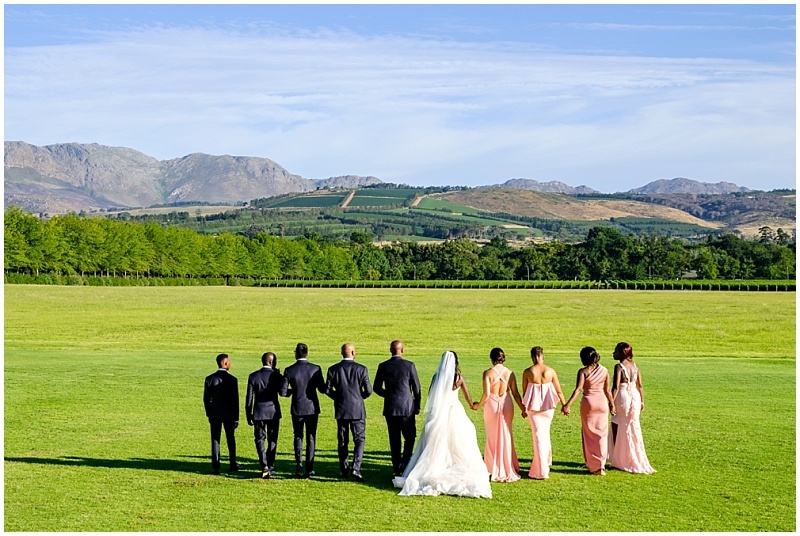 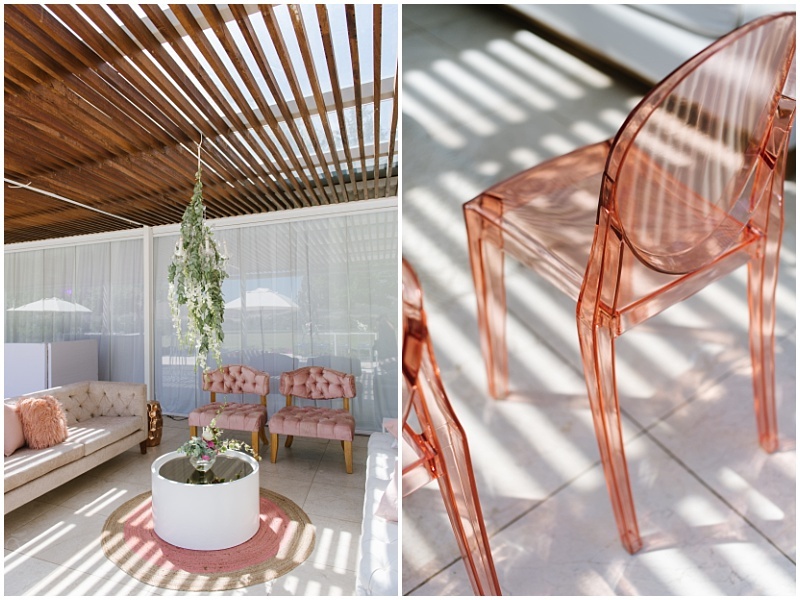 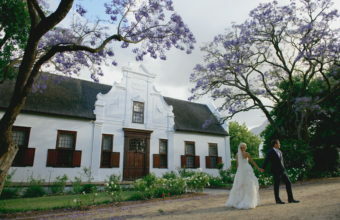 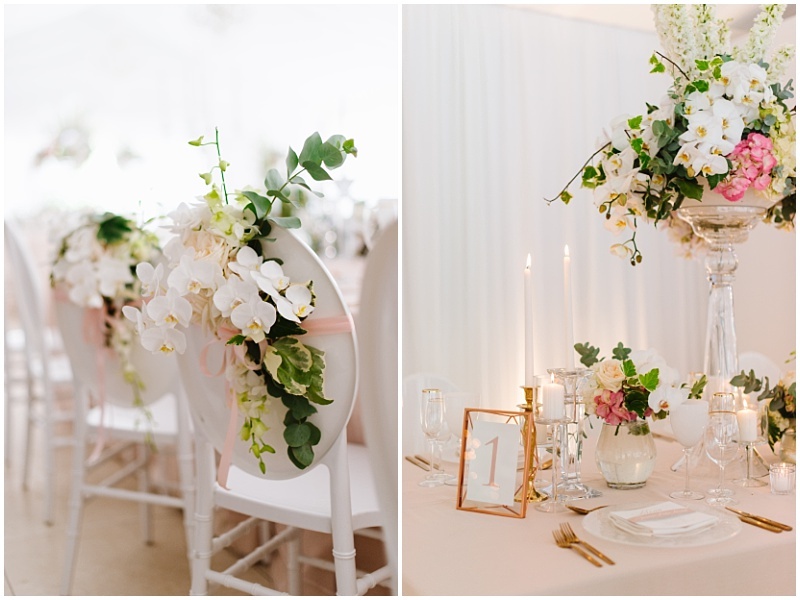 The historic Lourensford Wine Estate in Stellenbosch offered the perfect setting for Jade & Bongani’s blush, summer wedding, where the contemporary event venue was transformed into a floral and romantic space for the couple’s intimate celebration. 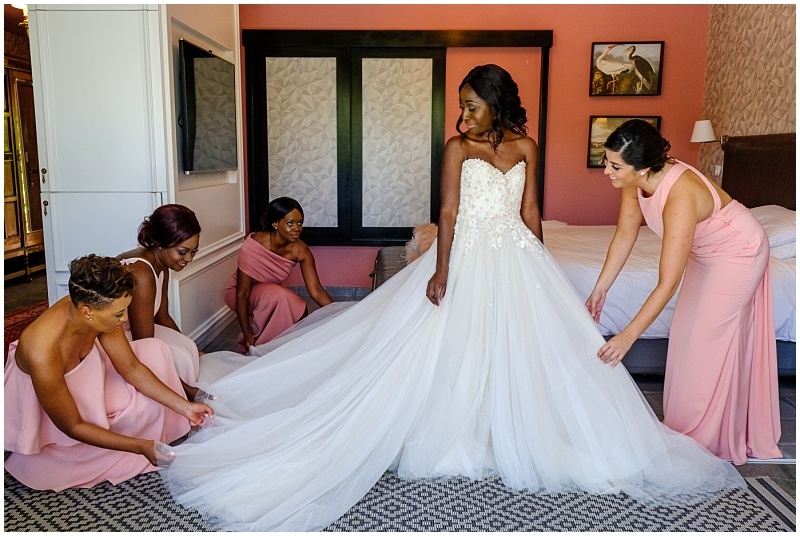 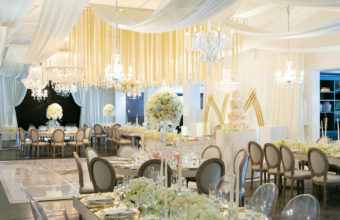 The couple’s close family and friends traveled from London, Dubai and all corners of Africa to attend the spectacular celebration – a balance of feminine and sophisticated luxury details! 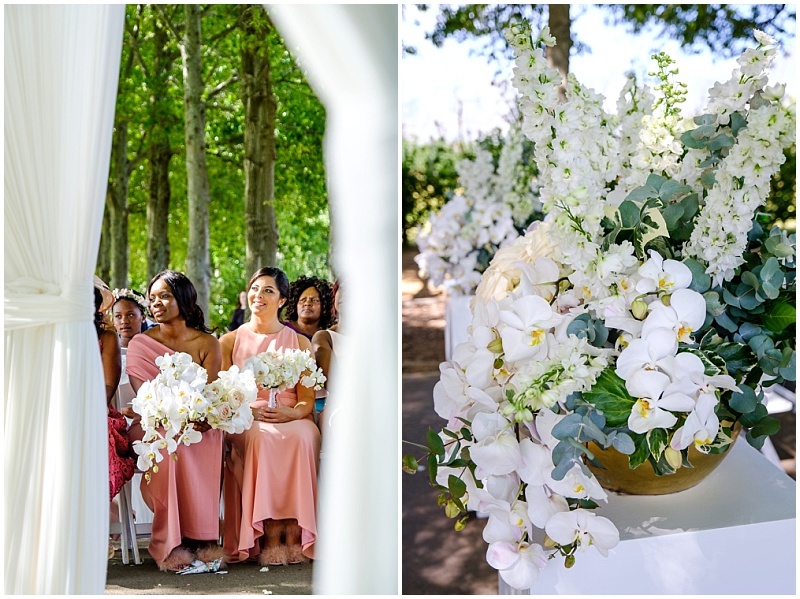 As guests arrived to the picturesque wine estate, they were met with a classic yet chic ceremony setting within the lush tree-lined avenue. 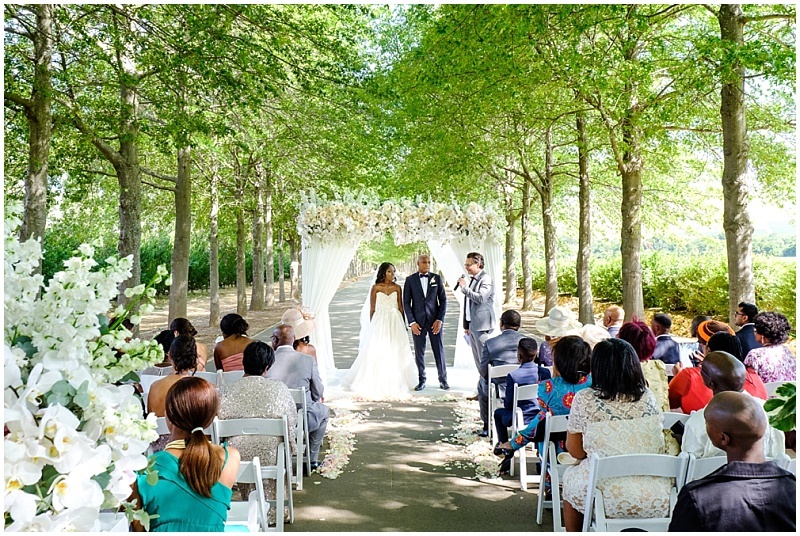 Here an abundance of white roses and orchards adorned the top of a four-posted ceremony gazebo, also draped in lush white fabric. 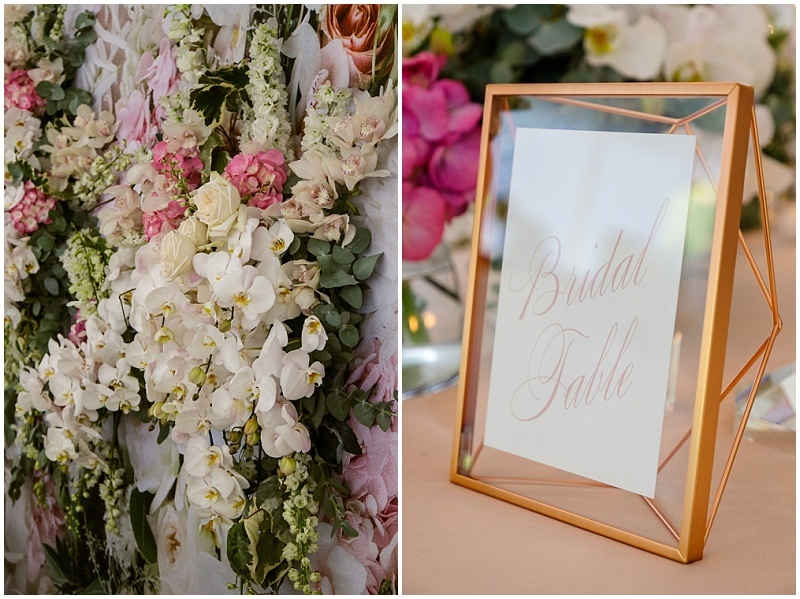 Guests had their first introduction to Jade & Bongani’s signature floral printed stationery, with the bespoke confetti cones, which was then also used to create an expanse of customized panels as a backdrop to the bridal table for the reception later in the day! 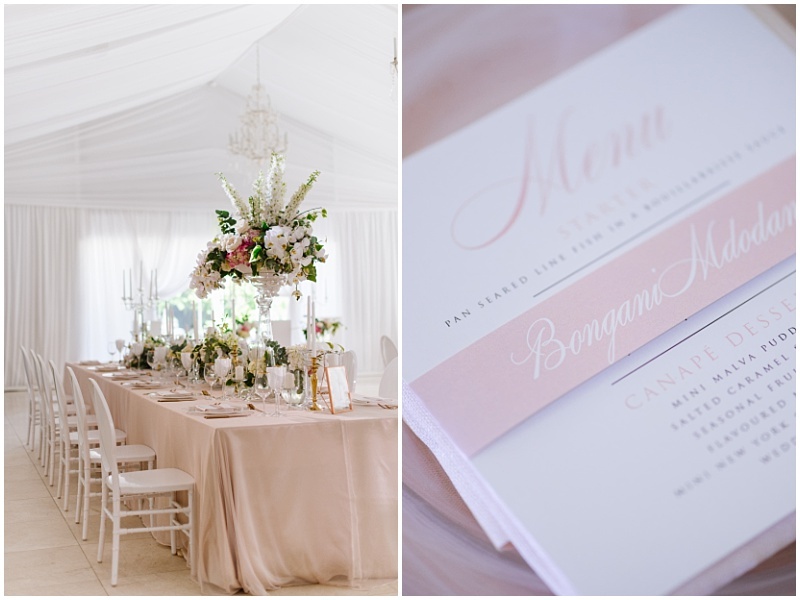 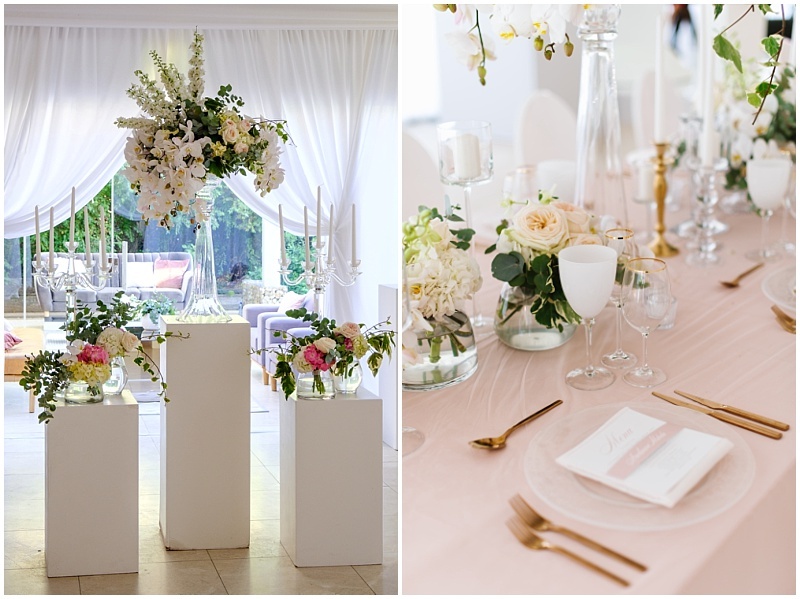 At pre-drinks guests were greeted by multiple lush lounge pockets in a romantic blush – colour palette of soft pink hues, ivory, gold and creamy white. 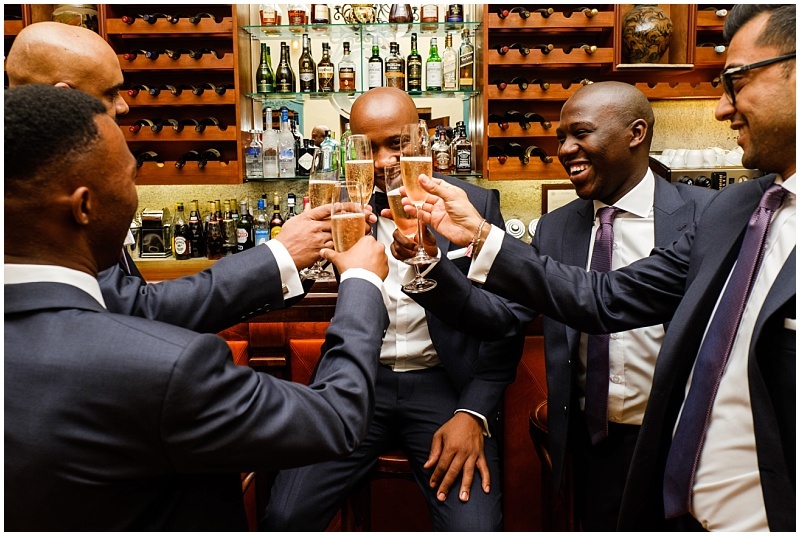 Guests relaxed in the perfect summer weather whilst enjoying French champagne, delectable canapes, and an oyster bar! 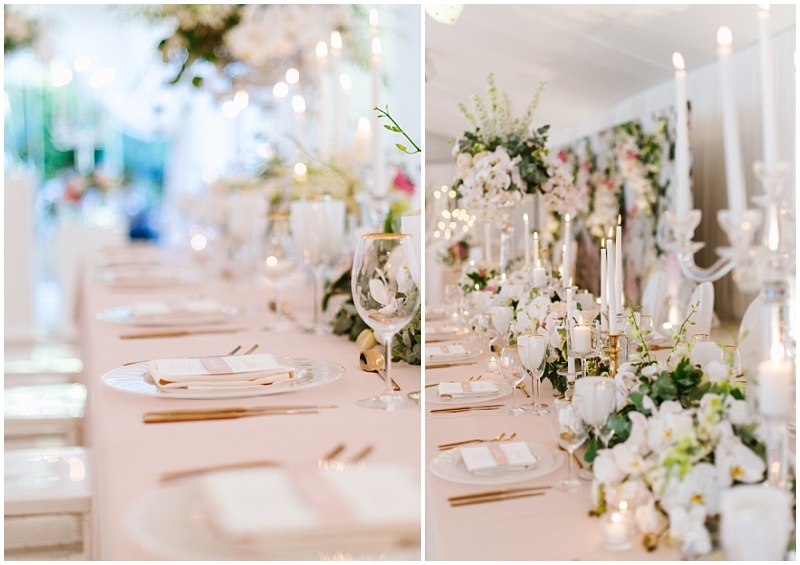 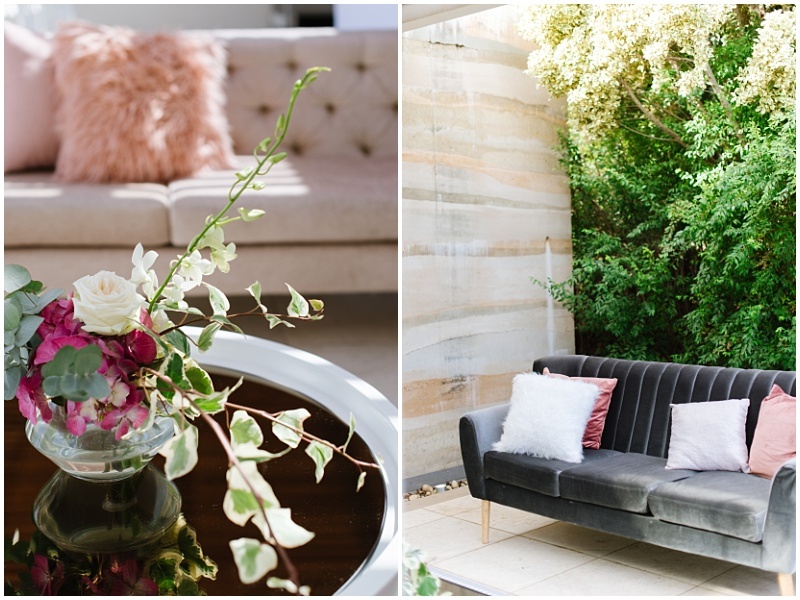 The reception was dramatically revealed, as curtains were drawn open and guests were welcomed into the expansive event space, an area transformed by soft, blush florals, personalised details and ambient candle lighting! 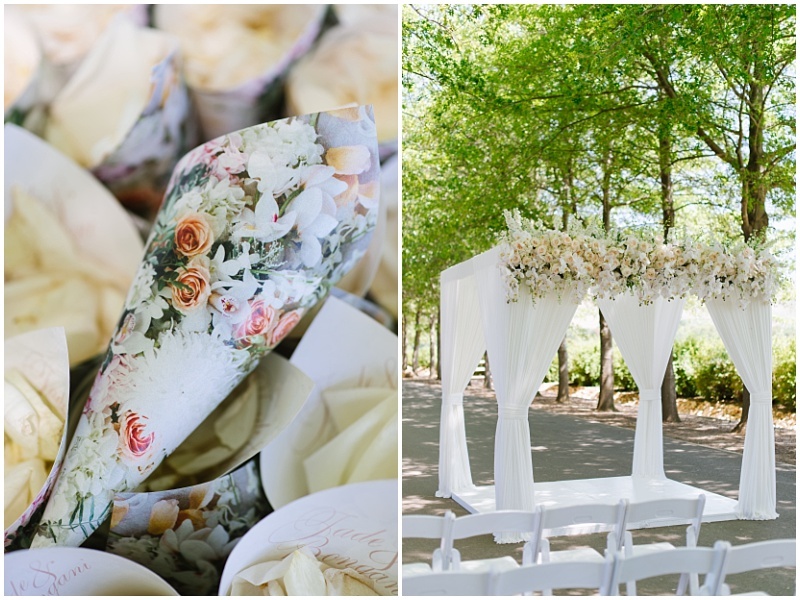 Here, the customized floral-printed panels were embellished with real flowers to create a bold 3D effect. 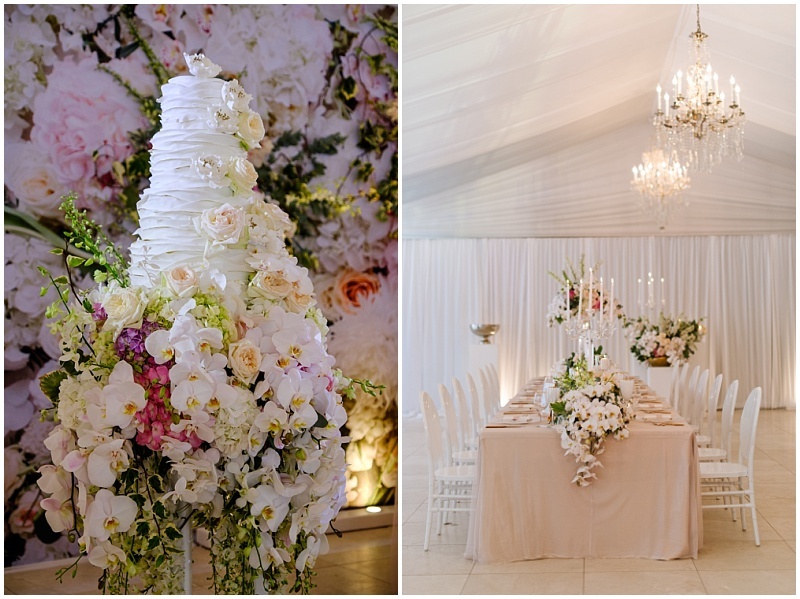 The four-tier white chocolate wedding cake was one of the statement showstopper elements of the reception – given centre stage position on a stand completely adorned and dripping with florals. 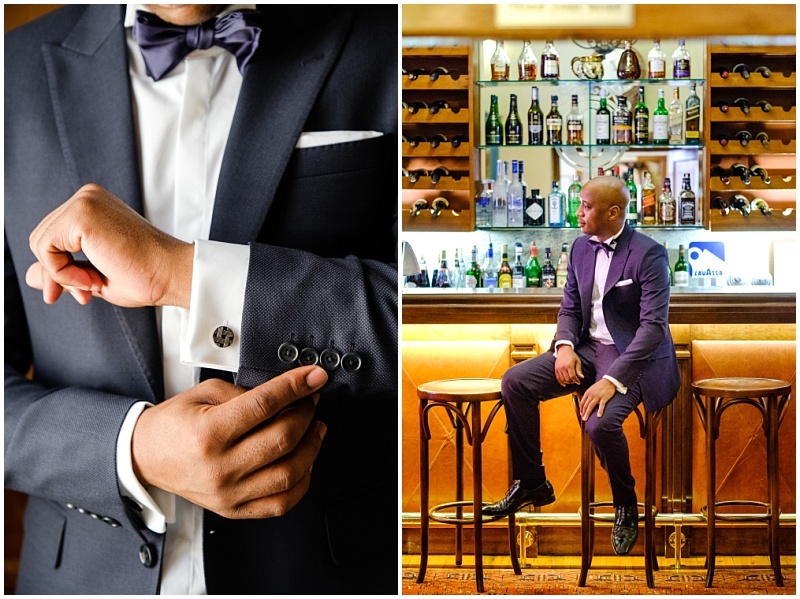 Personalization was a key element throughout the day – matchboxes custom-made with the couple’s names in the signature cigar lounge, the dance floor decal, and finally as guests left – a gift of a bottle of champagne, each with a personalized thank you note!